“Value” might be the perfect Elantra mantra. 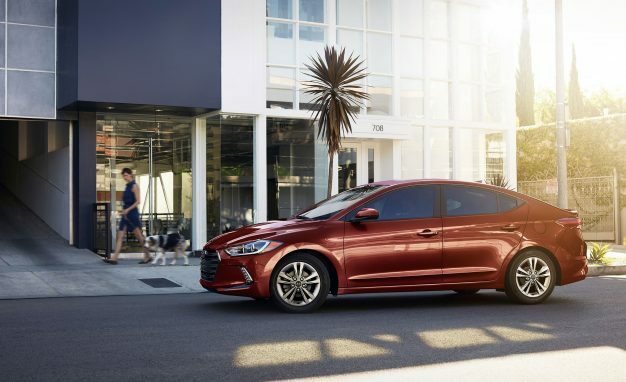 It’s already a popular buzzword for the entire Hyundai brand, and now it’s officially becoming a trim option on some of its cars. The $22,285 Elantra GT Value Edition came last year, then the $17,285 Accent Value Edition about two weeks ago, and now the 2017 Elantra Value Edition joins the party, priced at $21,085. The Elantra lineup is getting pretty crowded. It already has the base SE, the Earth-minded turbocharged Eco trim, the more spirited Sport model, and the range-topping Limited. There’s also the GT, if you’re looking for a hatchback. The Value Edition slots in between the $18,985 SE with a six-speed automatic transmission and the $21,485 Eco with a seven-speed dual-clutch automatic and brings a nice allotment of features for less cash than it would cost to add them individually. Motivating the Value Edition is the same 147-hp 2.0-liter Atkinson-cycle four-cylinder that’s found in the SE and the Limited. It’s paired with a six-speed automatic transmission, and that’s the only available powertrain. But that’s not where the Value Edition’s $1215 in savings comes from. The car comes equipped with a bevy of tech features, including LED running lights, blind-spot detection with lane-change assist, a proximity key with push-button start, a 7.0-inch infotainment display with Apple CarPlay and Android Auto capabilities, and a motion-activated trunk release. It also has a power sunroof, heated front seats, a power driver’s seat, Bluetooth, dual climate controls, an auto-dimming rearview mirror, a leather-covered shift knob, and a leather-wrapped steering wheel. It’s basically a combo of the SE’s $800 Popular Equipment package and its $1300 Tech package (which would bring the SE to $21,085, the same price). But then it also adds the power sunroof, lane-change assist, and the power driver’s seat, which are not included in those packages. And therein lies the value.